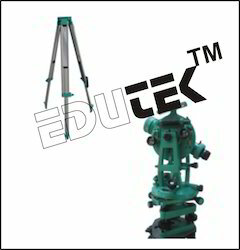 Edutek Instrumentation, an online business directory offering a comprehensive database of companies engaged in production & manufacturing of Surveying Instruments. 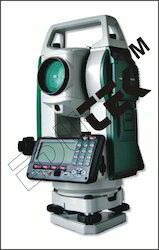 Buyers can browse the catalogs of these producers & manufacturers of Surveying Instruments and send a request for product details. 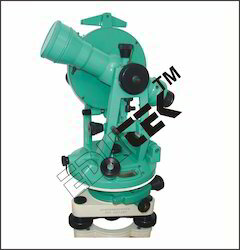 German pattern vermier theodolite least count 05/10/20 seconds as per customer requirements with four slow motion, erect image, 22x magnification, coated lens, alongwith powder coated/ anodized folding. Aluminum tripod complete in plastic/ wooden carrying case. 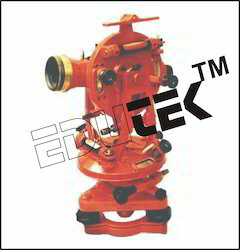 Optical plummet arrangement is provided for centring. 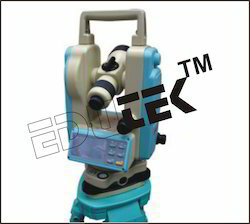 We bring forth for our customers watts theodolites which are robust scientific instruments extensively employed in surveying and engineering work. 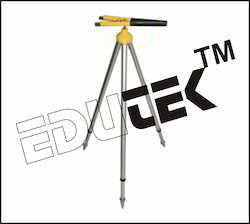 These are mainly used for measuring angular values in a traverse or network between survey marks. 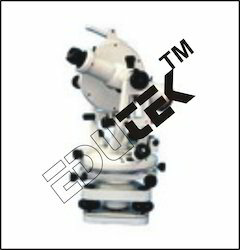 Watts theodolites can also determine a line of sight along a level plane by combining a spirit level and a telescope. Our range of products is subject to customization to meet the needs of our clients, and can be availed reasonable rates. 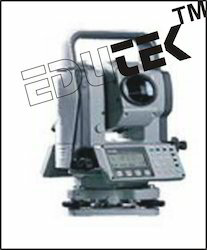 • Direct Reading Vernier Transit Theodolite with 10 Sec accuracy. 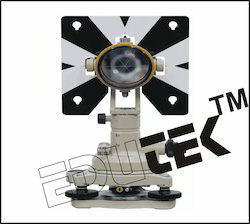 • Direct Reading Theodolite with 20 Sec accuracy. • All Models made of full brass/gun-metal body having pure silver circles. • Shifting tribeach and optical plummet systems. 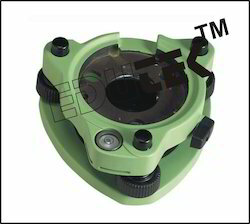 We offer Engineers Dupy Level in a new attractive model Size 7"
Single Prism Assembly : Single Prism 1 No. Prism Holder SIN-Tilt 3 1 No. Prism Pole with bubble 1 No. Downloading software with F-4 data transfer cable 1 No. 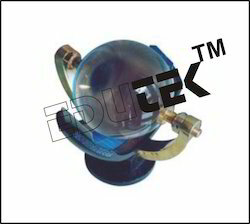 We are the leading manufacturers and suppliers of high quality Pole Holders for prisms. These have been manufactured using the finest quality of aluminium and brass, in order to ensure their strength and durability. 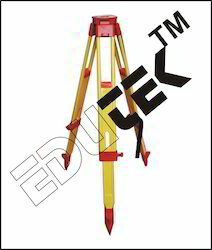 We provide the poles in the shape of a tripod for increased sturdiness while holding prisms and other survey instruments. We also offer customization and can supply these products in accordance with the demands of our clients. 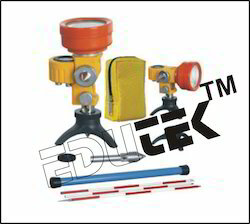 With our rich industry experience in the respective domain, we offer our clients reliable Prism Set . 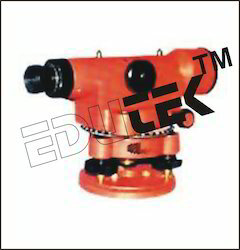 These are manufactured in strict compliance with the international quality standards. 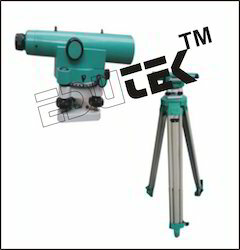 Manufacturer and supplier of Land Surveying Instruments, Suunto Compass, Global Positioning Systems, Sunshine Recorders, Water Current Meters, Propeller Type Current Meters, Linen Testers. 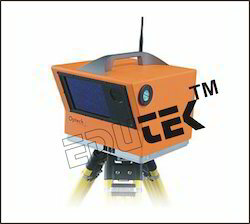 Optech ILRIS Laser Scanner is fully portable, laser based ranging and imaging system for the commercial survey, engineering, mining and industrial markets. A compact and highly integrated instrument with digital instrument with digital image capture and sophisticated software tools, ILRIS is an industrial leading solution that addresses the needs of commercial users.